A university student who became a suicide bomber in Somalia is believed to be the first of a new wave of British-based Islamic terrorism. The 21-year-old reportedly blew himself up at a military checkpoint killing up to 20 soldiers in the southern Somali town of Baidoa. Raised in Britain, the unnamed bomber dropped out of a business studies course at Oxford Brookes University to travel to his country of origin in October 2007. A member of al-Shabaab, a youth militia fighting to impose Islamic Sharia law, the man, from Ealing, recorded a martyrdom video before his trip imploring fellow British Somalis to follow his example. In the video he says: 'Oh my people, know that I am doing this martyrdom operation for the sake of Allah. The bomber, whose family still lives in London, is the first reported case of a Somali based in Britain carrying out terrorist acts in the east African country. However it is unclear whether British security services are aware of the case, which happened when the Somali prime minister was staying at a hotel near the checkpoint. Jihadist websites claimed more than 20 Ethiopian soldiers were killed. The same group was reported to have killed six aid workers in December. 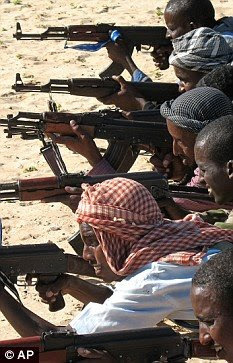 The killings come amid warnings that dozens of Islamic extremists have returned to Britain from terror training camps in Somalia. MI5 director-general Jonathan Evans has raised concerns that Somali-trained militants could be plotting to carry out attacks in Britain or attempting to attract new recruits. Yassin Omar and Ramzi Mohammed, two of the four men convicted of the failed July 21 2005 London Underground bombings, came to Britain as asylum seekers. The Somali community in Britain numbers around 250,000, the largest in Europe, with the bulk of those coming to the country as refugees within the last 20 years. Peter Neumann, a terrorism expert at the Centre for the Study of Radicalisation at King's College London, said: 'The numbers I hear (going from Britain to Somalia) are 50, 60 or 70 but in reality we don't know. 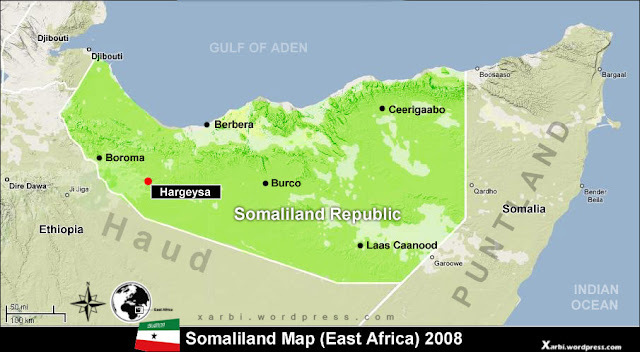 Ethiopian forces occupied parts of Somalia in 2007 after ousting the Union of Islamic Courts (UIC) from the capital, Mogadishu. The Ethiopians withdrew last month as part of a peace deal agreed between the government and moderate Islamists, leaving African Union peacekeepers and Somali soldiers - although many believe that they will not be able to keep advancing extremists at bay. More than 16,000 people have been reported killed in the past two years.